I have been talking a lot about our move lately and the construction still going on at our new house. This has been the main focus of our life lately & it has our lives sort of in limbo. We have had most of our things packed for months & now with the colder weather here, I have found that most of our winter clothing is buried in storage. I have been searching for my daughters gloves, mittens, hats & scarves, but realized that they were not going to be found until we unpacked. I bought my daughter new winter gear & then I misplaced it again somewhere in the suitcases that we have been living out of. The loss of the winter gear had me & my daughter joking about the 3 little kittens that lost their mittens. 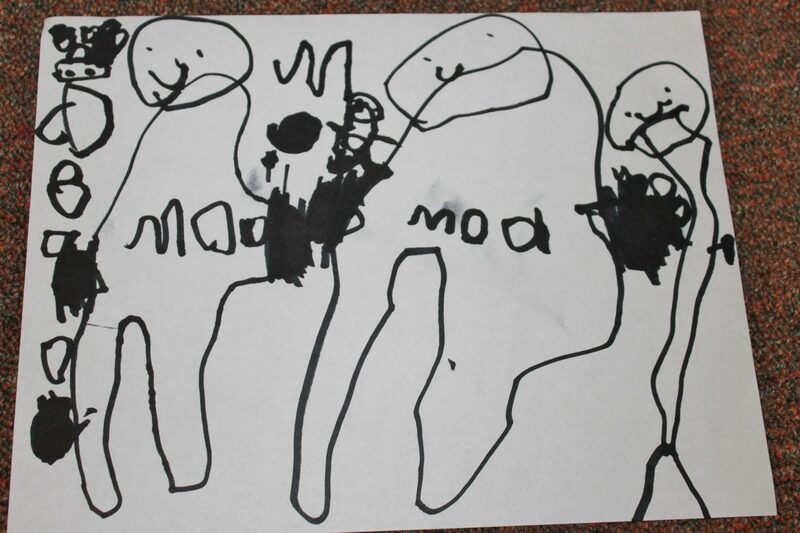 Mai drew a picture of those poor kittens. 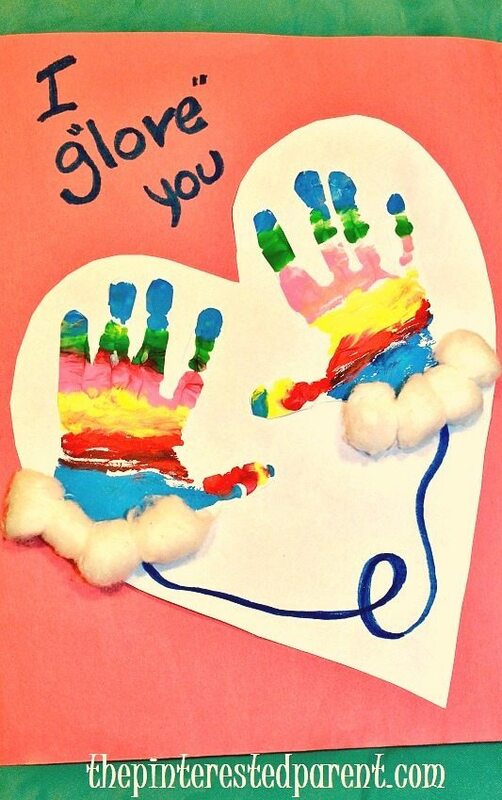 All of this talk about lost mittens inspired us to do a craft. You can choose to make your gloves in the design of your choosing, but we opted for striped gloves. 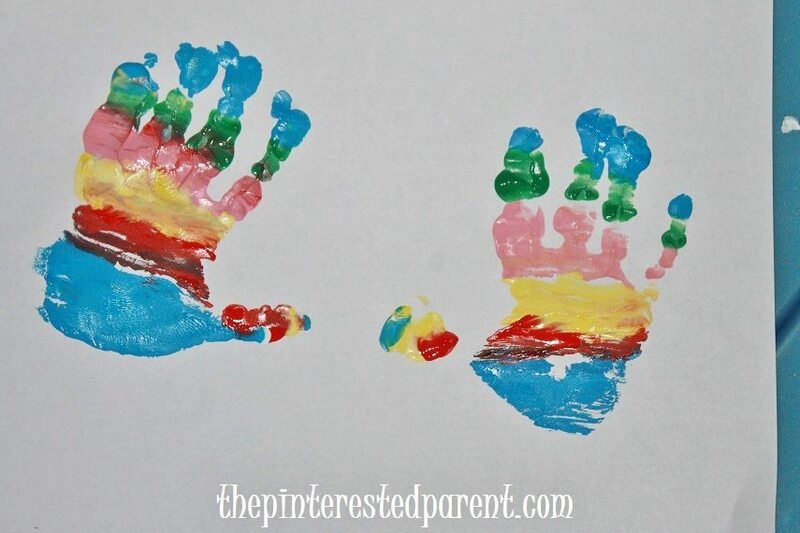 To do this, paint your child’s hand with different colored stripes. Press it onto a piece of paper. 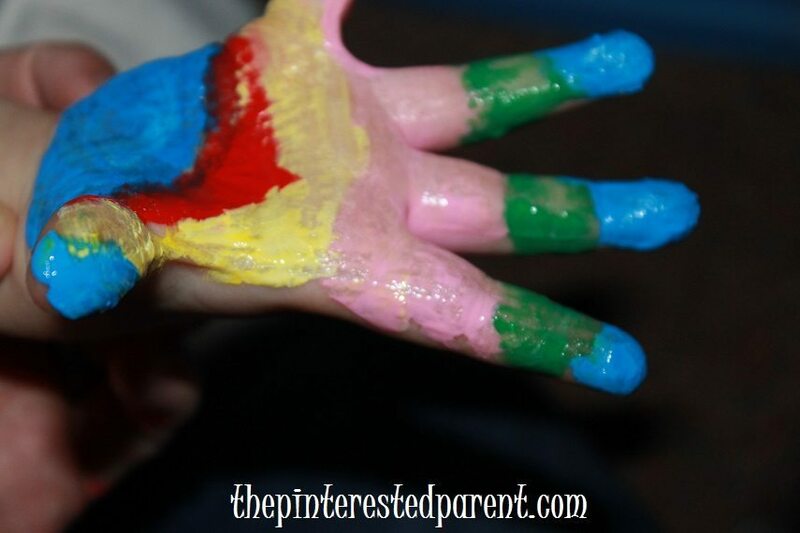 Paint the other hand the same way & press that one too. Let them dry. If you have your hands positioned the way that you like, leave them. 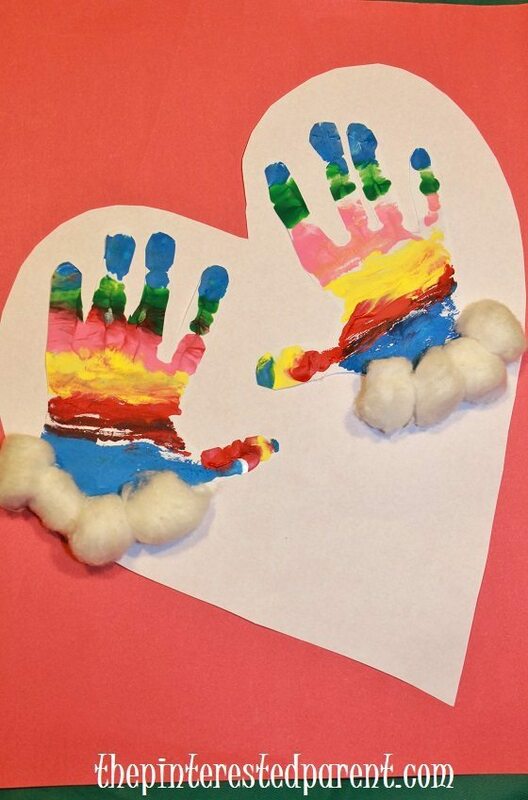 If you have a squirmy 3 year old and cannot get them exactly how you want them, cut around the hand prints & glue them onto another piece of paper of the same color in the positions that you would like them. 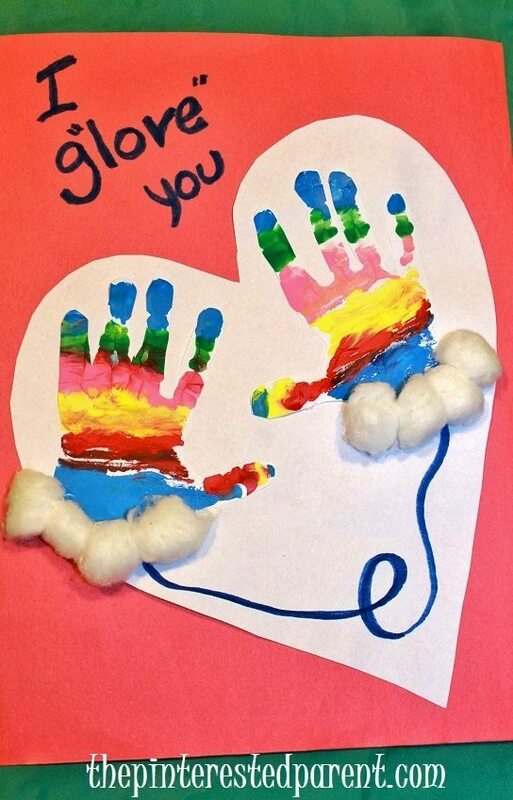 Glue cotton balls to the bottom of your hand prints & then cut a heart shape around the gloves. Glue onto another piece of paper in a different color. Leave it as is or write in your “I glove you” message or another message of your choosing. Add a string to join your gloves together. Incidentally, we did end up finding those mittens and the hat too. Thanks Janine, I was so stressed about it. I am glad that I found it too.